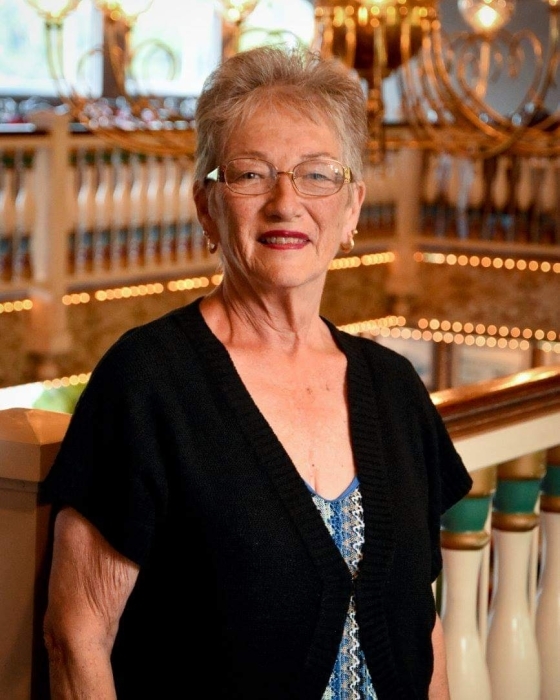 Sally Ervin Scroggins, 68, of Chattanooga passed away Saturday, February 2, 2019. Sally was a native of Madisonville, TN, was a 1968 graduate of Gordon Lee High School, and had been a member of Memorial Baptist Church in Rossville. Sally loved crafts including ceramics and crocheting and she was an avid Georgia Bulldog and Atlanta Falcons fan. She was preceded in death by her parents, Erskin and Martha Lee Ervin. Survivors include two sons, Arden (Betty) Scroggins of Murfreesboro, TN and Jody (Leatha) Scroggins of Chattanooga, TN; sister, Judy Callahan of Chickamauga, GA; brother, Jimmy Ervin of Lenoir City, TN; grandson, Joseph (Angel) Scroggins; two great grandchildren, Aiden and Elijah Scroggins; and several nieces and nephews. Condolences may be sent to www.lane-southcrestchapel.com. In lieu of flowers donations may be made to St. Jude’s Children’s Research Hospital at www.st.jude.org. Memorial Service will be held Thursday, February 7th at 4:00p.m. in the South Crest Chapel. The family will receive friends Thursday from 2:00p.m. until the service hour at the South Crest Chapel of Lane Funeral Home and Crematory, located at the end of historic Missionary Ridge, Rossville.